Housecleaning is not usually number one on my list of things to do. It’s more like number 8,463. There are so many things that rank higher on the list. Did I say feeding the cats? The least Athena could do is volunteer to dust for me. Don’t you think? 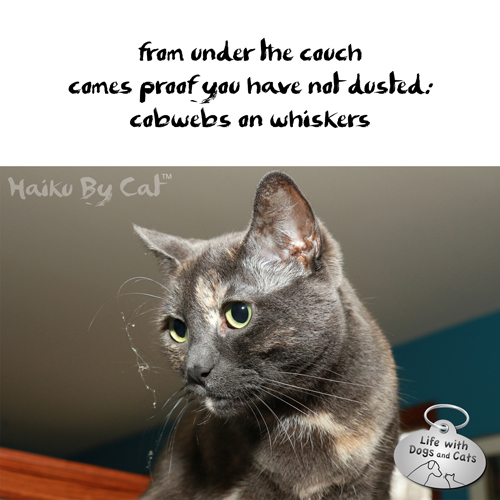 11 Comments on "Haiku by Cat: Dust"
Maybe kitty is just trying to get into the Halloween spirit a little early? That way, the cobwebs would be festive! Ha, yet another useful cat skill: dust evaluator. With blind cats like our Merlin, who relies on whiskers for navigation, has been getting lots of spider webbies on his. Time to sweep the porch! That is a great Haiku! 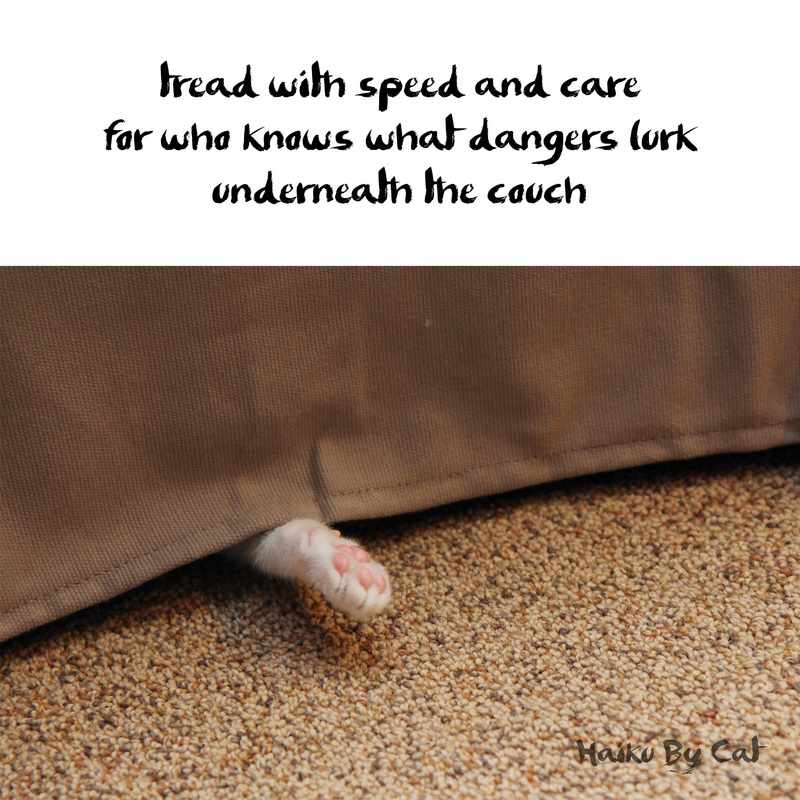 Yeah, we’ve got lots of dust under our couch.